Babyoye offers this stylish and comfortable set of singlet layered top and capri leggings for your adorable little girl. The top features an attractive pom pom motif neck line lace and glittery printed calf length leggings makes a stylish set. 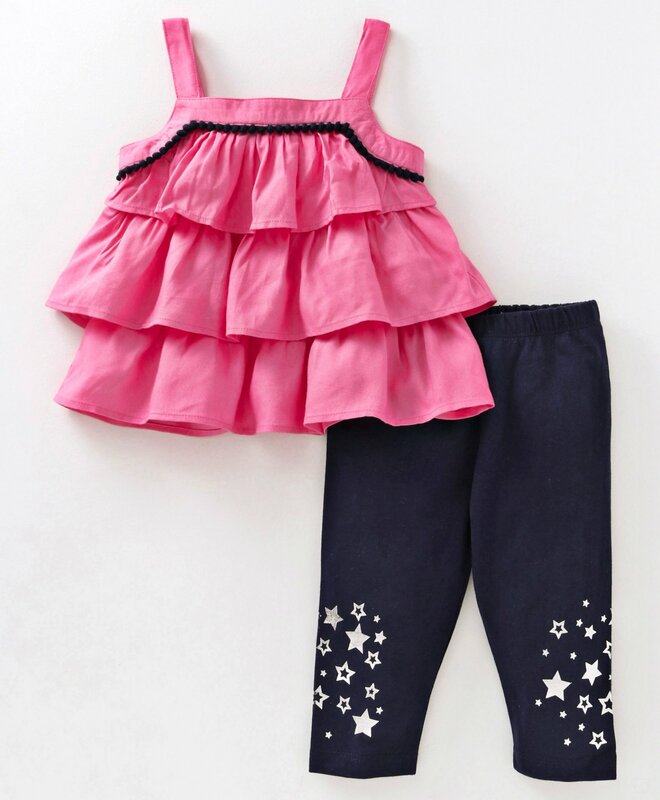 Made from soft fabric, this set will ensure maximum comfort to your little girl. Styling Tip: Team up the set with sandals and cap for a cute look.